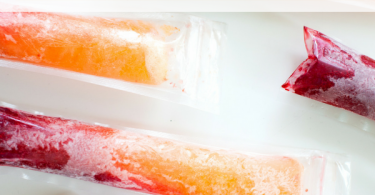 and you and your kids will LOVE making them together! Prepare the patterns from the template by printing and cutting them out nicely. Trace the patterns on the selected colored craft papers and cut them out. 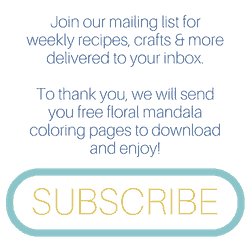 For the three flower patterns use any color you want. 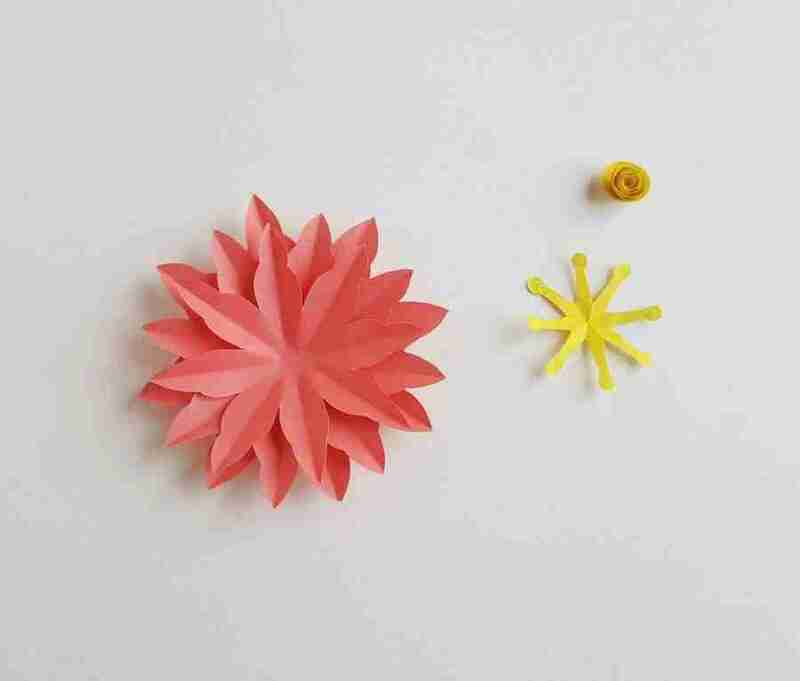 The 2 other patterns will be center of the flower, you can select any color you want for the center, I used yellow craft paper. Take the flower patterns and create creases on them. First, create crease from the center towards the tip of each petal. 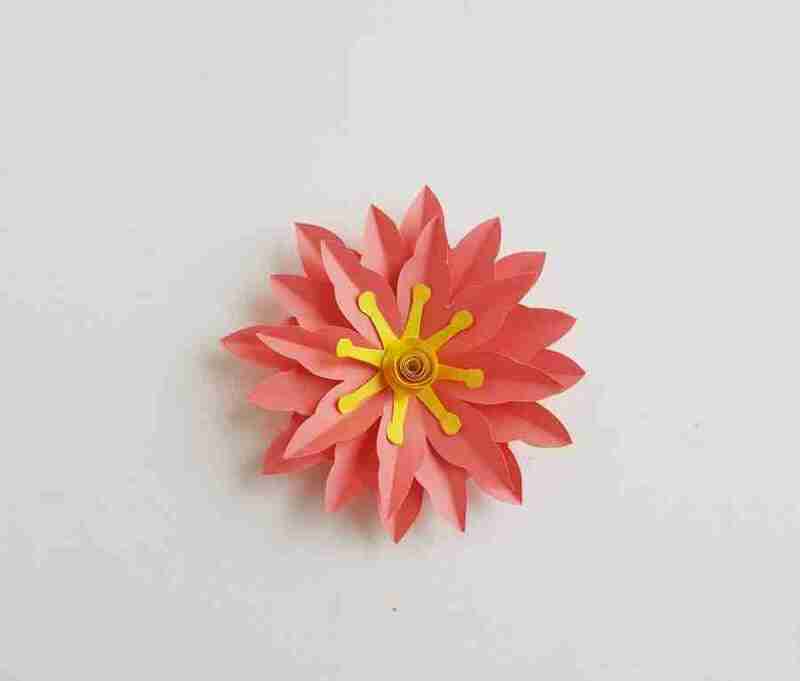 Next, create crease between each petal and towards the center. Take the spiral pattern and start rolling it from its outer end. Continue to roll towards the center and once you reach the center glue the roll with the center of the spiral pattern to secure it. 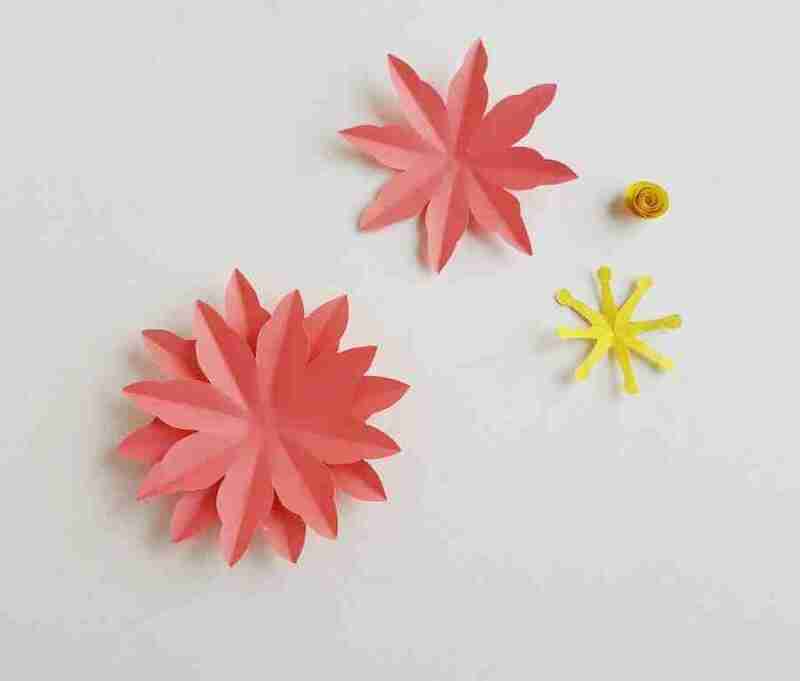 Place the large sized flower on a flat surface and apply a small amount of glue on its center. 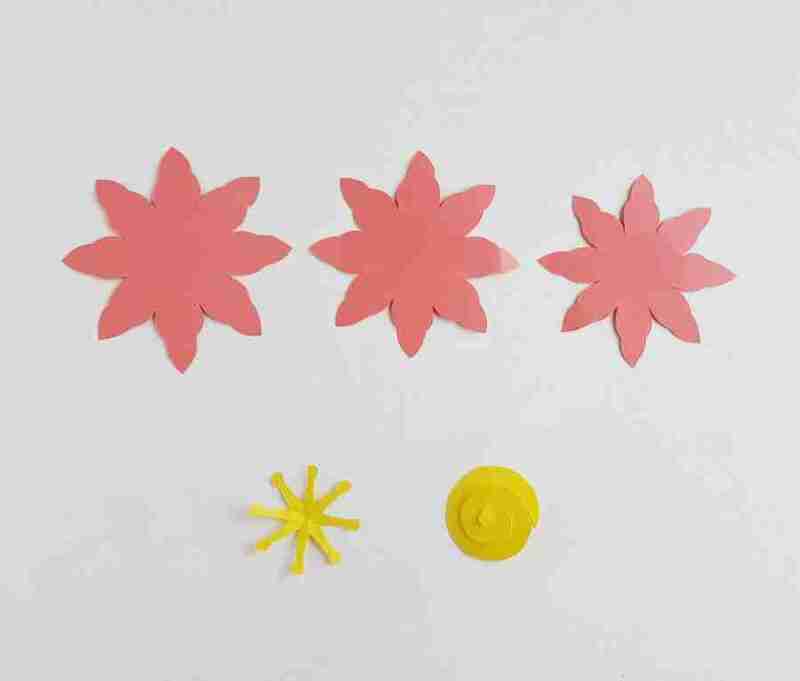 Place the medium sized flower on the large flower, making sure that the centers of both flowers match; and also rotate the medium flower slightly so that the tips of the large flower’s petals are visible. 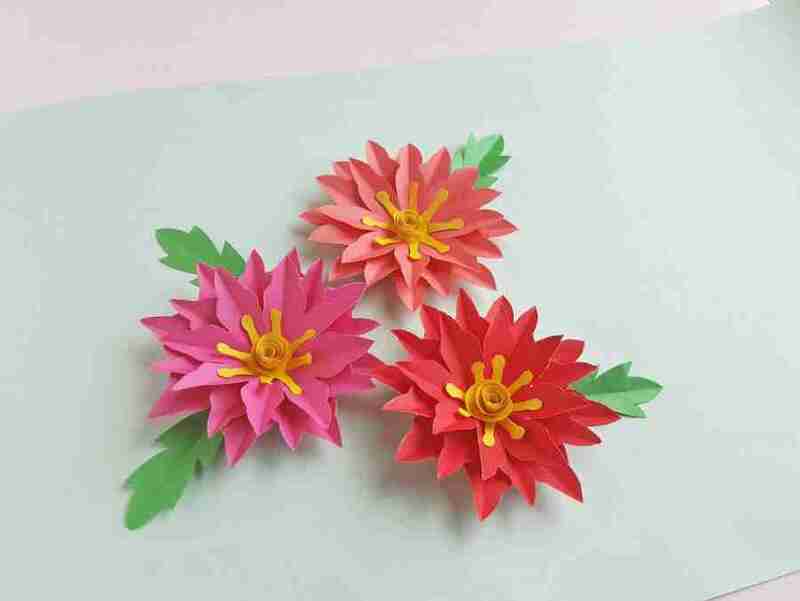 Glue the small-sized flower on the medium flower. Finally, glue the center pieces. 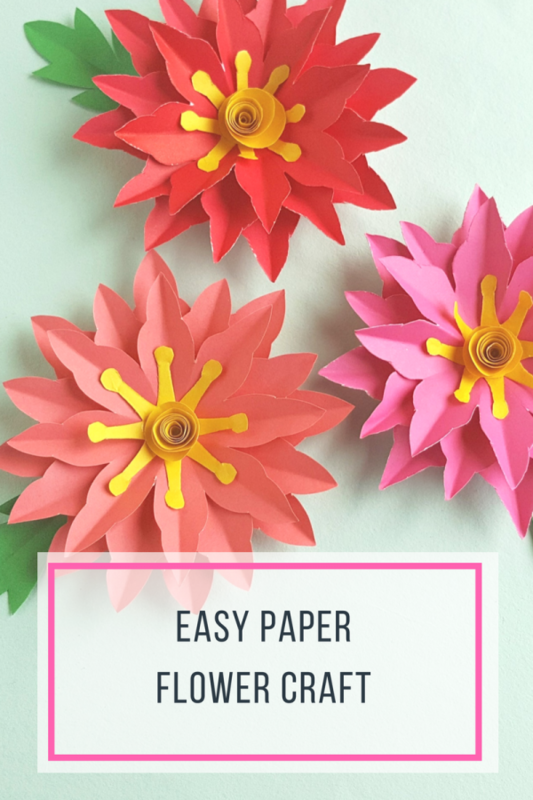 Use green craft paper to create the leaves. You can use any pattern you want for the leaves. 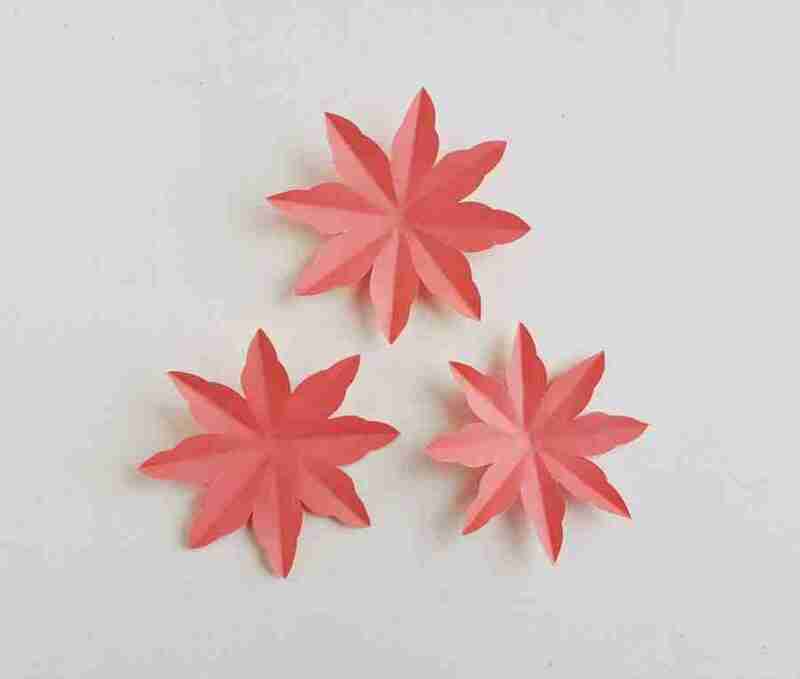 Simply trace the patterns, cut them out and glue them beneath the flower. Take the spiral pattern and start rolling it from its outer end. Continue t roll towards the center and once you reach the center glue the roll with the center of the spiral pattern to secure it. 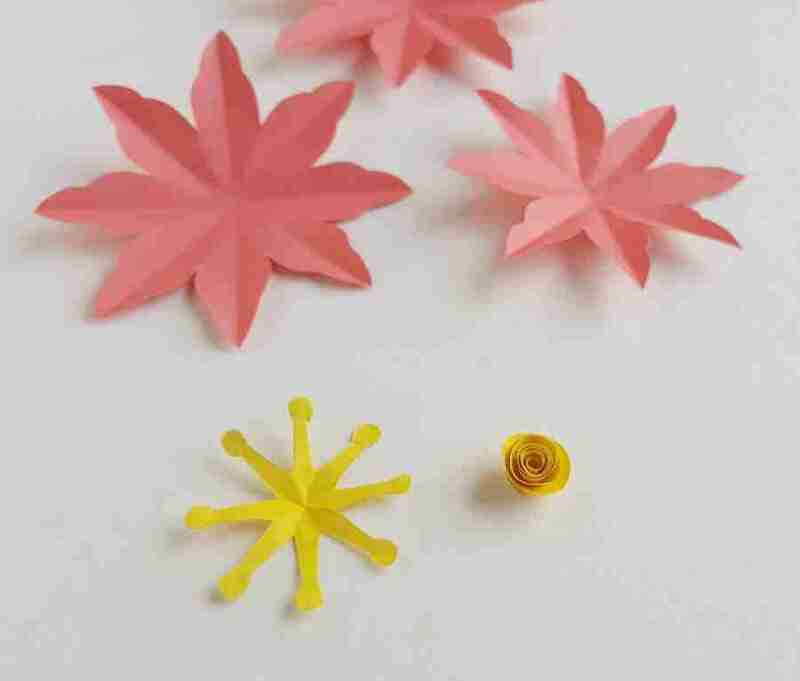 Similarly glue the small sized flower on the medium flower. And finally glue the center pieces.